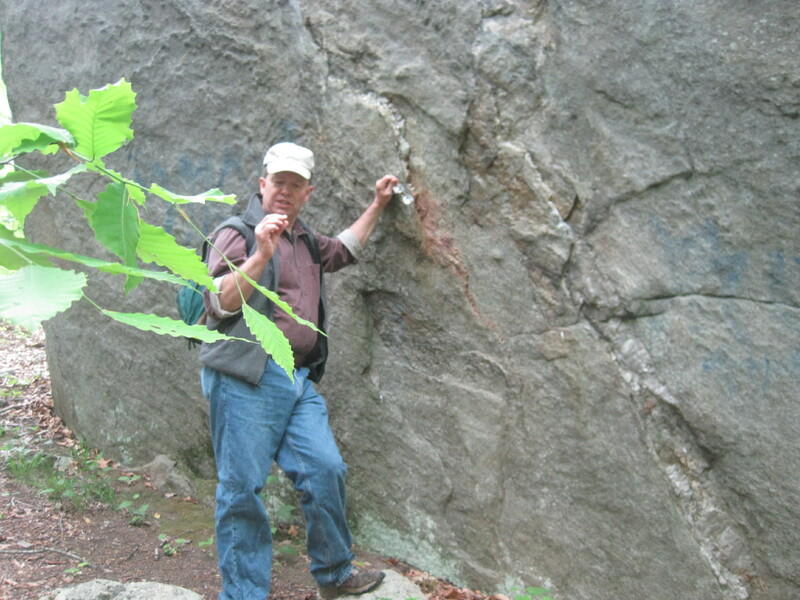 Jim, who’s interested in caves and rocks, visited yesterday from Pittsfield, MA, so we did a rock tour of Middlesex County. 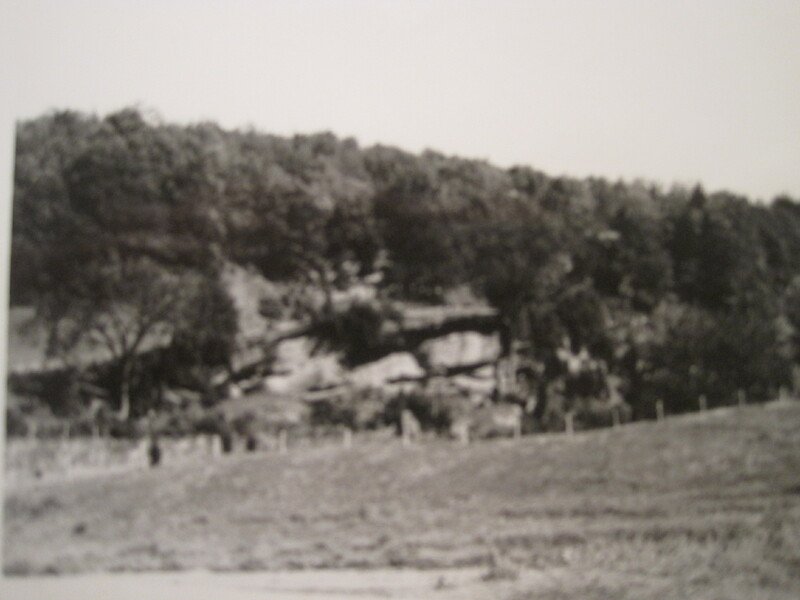 We started at Bible Rock in Middletown/Haddam. Set back about a hundred feet from the road, this eight-foot high split rock looks like an open book, or Bible. 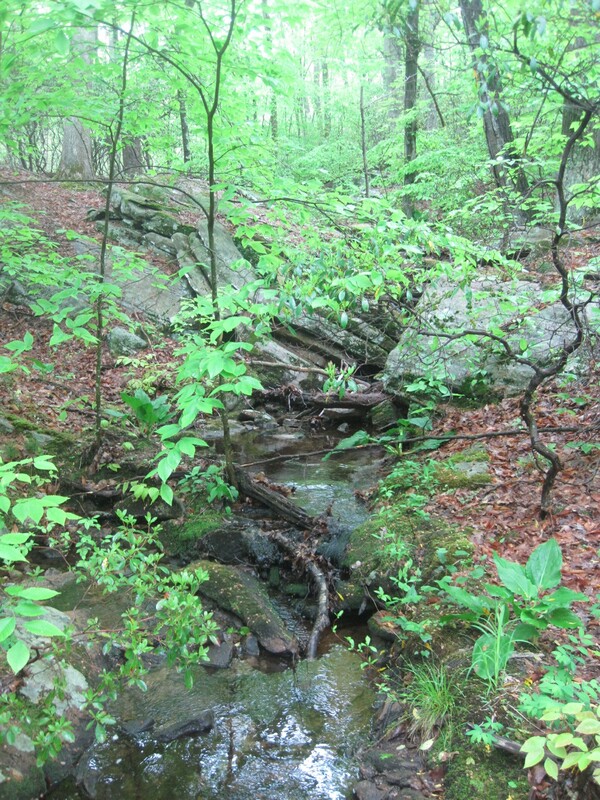 The nearby brook is also named after this feature. After taking photographs, we crossed the road to take a brief stroll along the rocks and stream flowing near the Seven Falls picnic area. Likely a CCC project, a mostly-intact table served as a spot for us to review maps and set our next stops. 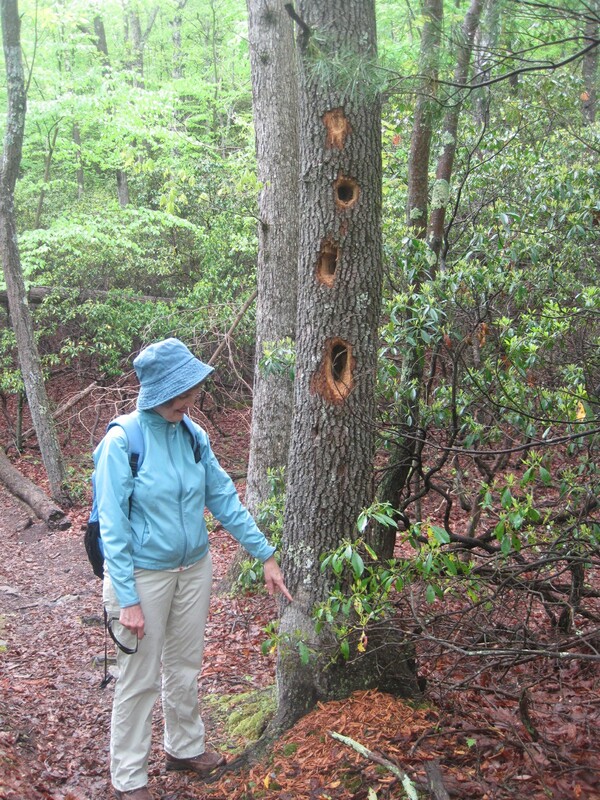 We agreed to drive north to Dripps Road and visit Spiderweed, a Nature Conservancy preserve. After a brief exploration of the ruined cottage, we reached the beryl-rich pegmatite outcrops and saw Appalachian sandwort (Arenaria glabra). Common to the south and abundant in these unusual rock formations in the north, it’s a spring flowering annual. We caught a glimpse of the Connecticut River through the lush spring foliage. After a snack and return to the car, we drove south to Durham to start on the Mattabesett Trail leading directly to Coginchaug Cave. Rising thirty feet high and stretching more than fifty feet along the base of a cliff, it provided shelter to Native Americans long ago. Blacked rock and stone fire pits suggest recent fires but artifacts have apparently been uncovered at this site. When we returned to the car, we decided to take a lunch break. We then went across the Connecticut River to Portland to try to find Bodkin Rock. After several futile efforts (and getting covered in low-tide mud), we decided a water approach would be more successful and would have to wait for a future adventure. Before returning to Middletown, we drove along the old Portland quarry, recently converted into a tasteless zipline and water park (preference for the natural features showing here). By then, it was raining and the park was closed to visitors. 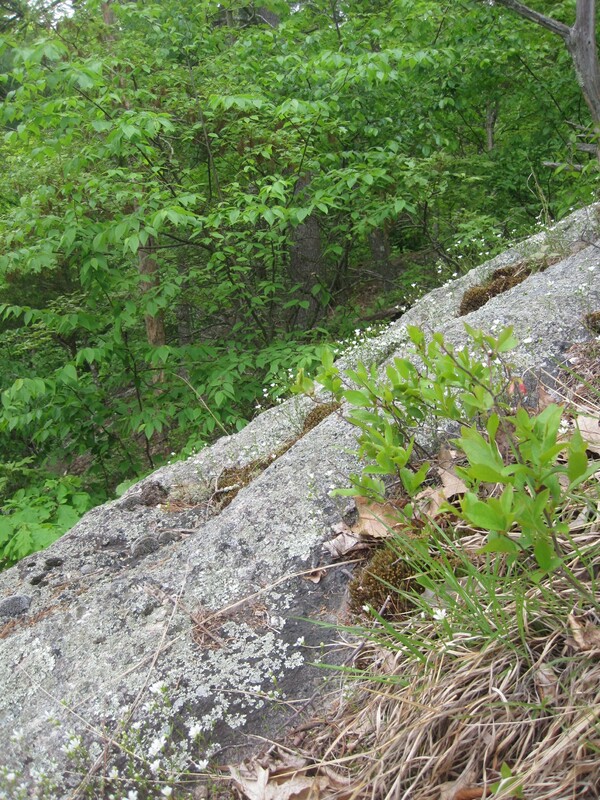 In Middletown, we explored the conglomerate rock ledges off Kelsey Street. We saw flowering lady’s slippers and columbine, along with a long series of shelters. We attempted unsuccessfully to match the now overgrown landscape with some 1910 photos of the area. 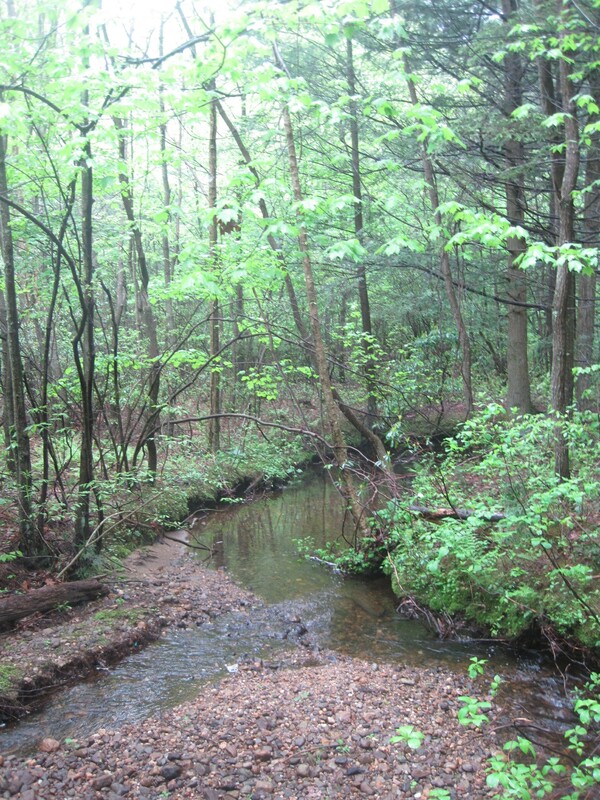 We enjoyed the flow of East Round Hill Brook before calling it a day. Obviously, many other rocks of notice and importance are in Middlesex County, but this was a good start!